Wash the prawns in cold water and clean the veins from them, drain excess water and spread them on kitchen towel. Serve with lemon drizzle or with mayo sauce. 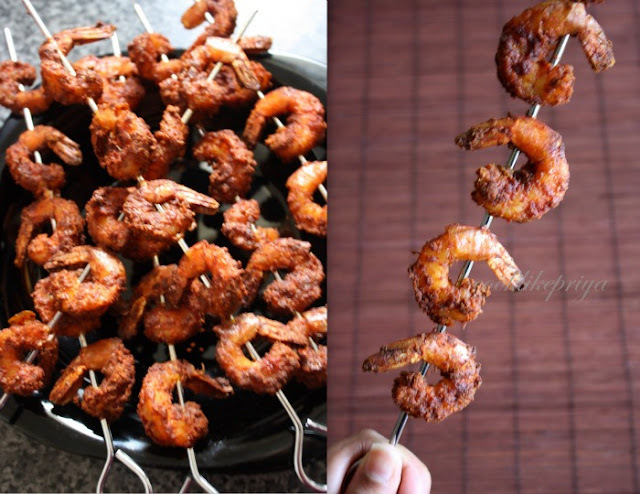 Prawn tandoori looks delicious and very tempting..
Wow.It looks so inviting and yummy. Wow love the first click, nice starter and very tempting it looks. yummy prawns sis.looks so spicy.parcel the whole plate sis. Wish to grab few now Priya, so tempting and irresistible prawns. you got those prawns very well. no way to escape for them. Sis,dont kill me like this, irresistible and cant take my eyes from those terrific tandoori prawns. 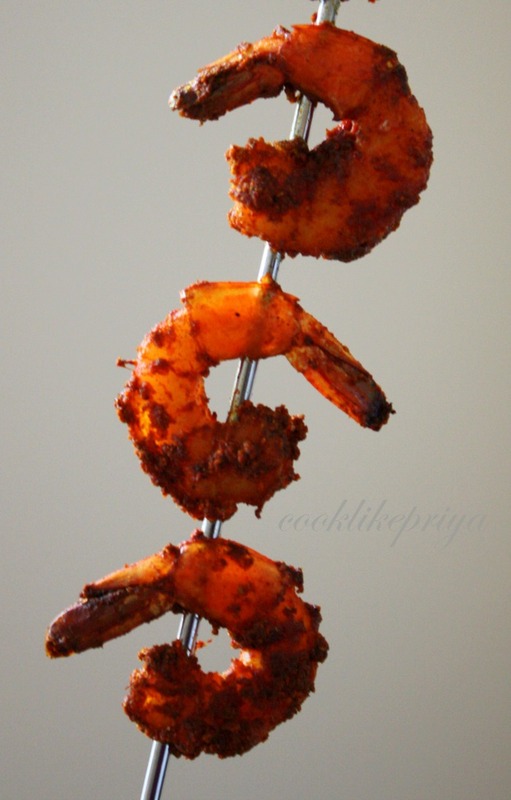 prawn tandoori looks yumm Priya. Excellent shot Priya and my favourite dish too.